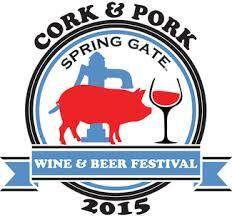 Throughout 2014, 2015, 2016, and 2017, Spring Gate created a number of fun Festivals from Oktoberfest, to WineStock, to Cork & Pork. We are continuing and expanding these wine, beer, and cider festival events in 2019 as we discover our guests' interests. 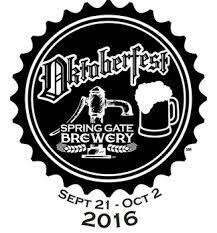 Some of these festivals are one day events, but most are two day and some (like Oktoberfest) are even longer. 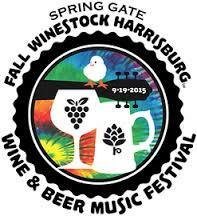 We try to keep an exhaustive list with details (along with our concurrent feasts) on Facebook Events. All food and wine is à la carte, there is no cost to enter, but you are not allowed to bring food or drink on site. Our Festivals are full of food vendors, live music, and fun. While we have hundreds of chairs, we encourage you to bring your sports chair, but no pets! Here, we've organized the festivals by season and month. 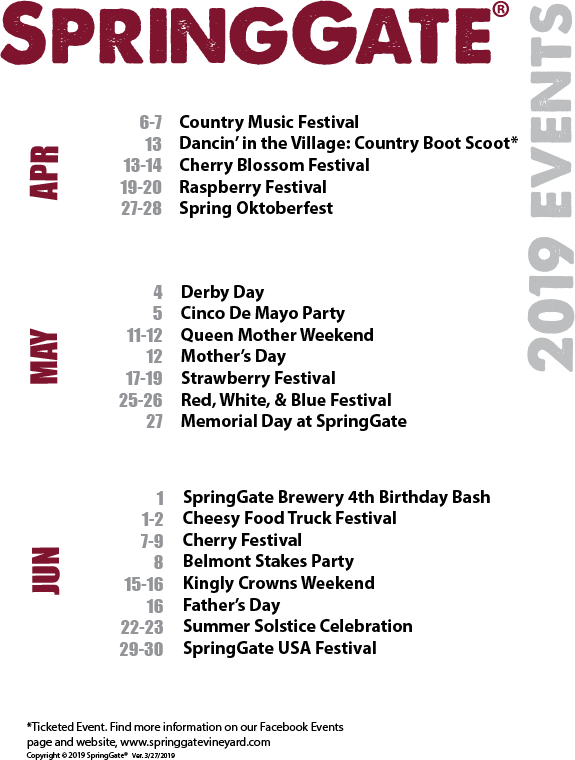 Some festivals we do in conjunction with other regional festivals, like our Cranberry Appreciation Day when Early Bird Turkey Feast & Cornucopia are happening, and our Nouveau Wine Festival and Blues, Brews & BBQ-2 also in conjunction with Cornucopia. But our official, Master Schedule Poster is available to the right. We also do offsite festivals which we announce in Facebook Events.